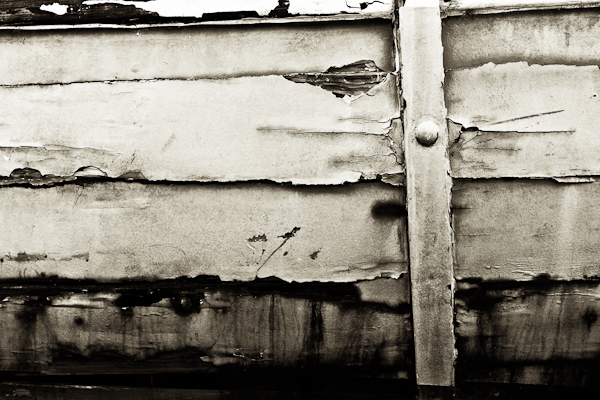 An image of the side of an old wooden fishing boat, in black and white. Lots of texture and toning. The lines and scarring on the boat add to the interest of the photograph. Here in the Virgin Islands there are a lot of old boats such as these with interesting textures and patterns. This entry was posted on Monday, April 16th, 2012 at 3:22 pm. It is filed under Fine Art, Marine, Nature, New Images and tagged with black and white, boat, closeup, fine art, island, macro, monochrome, old, print, simple, texture, Virgin Islands, worn. You can follow any responses to this entry through the RSS 2.0 feed.